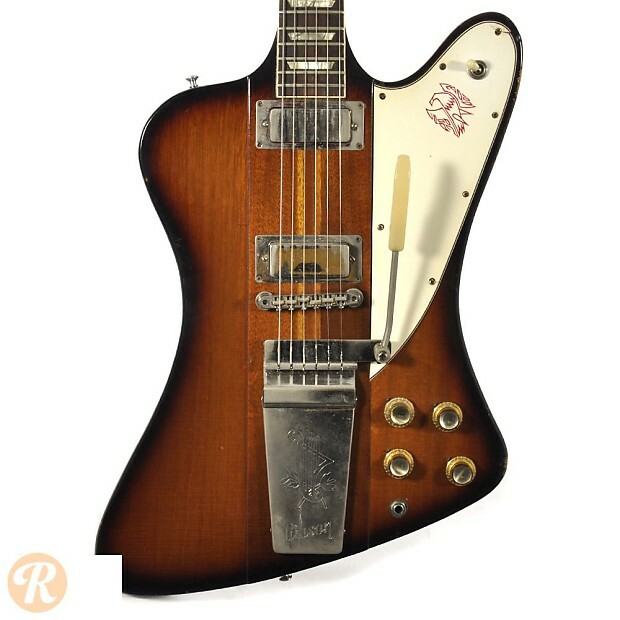 Gibson launched the Firebird design in 1963 with four main models: the Firebird I, II, V, and VII. 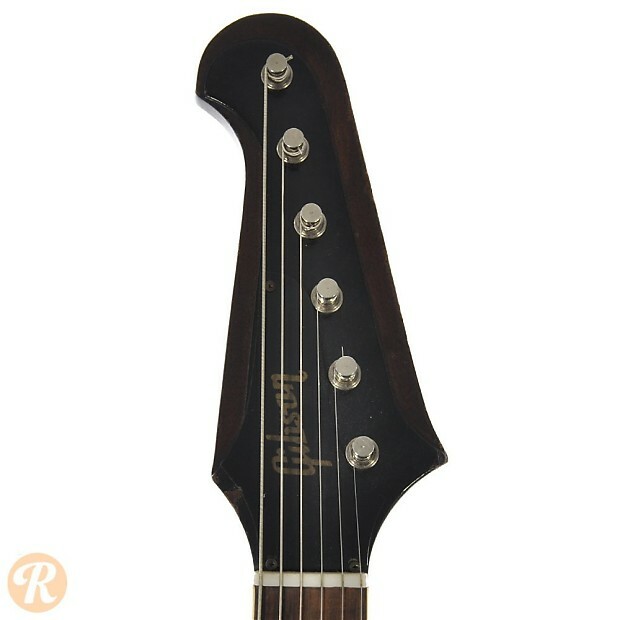 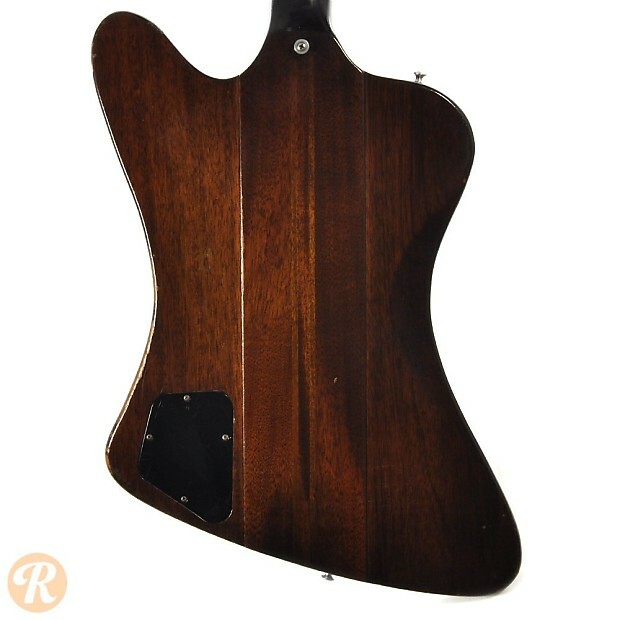 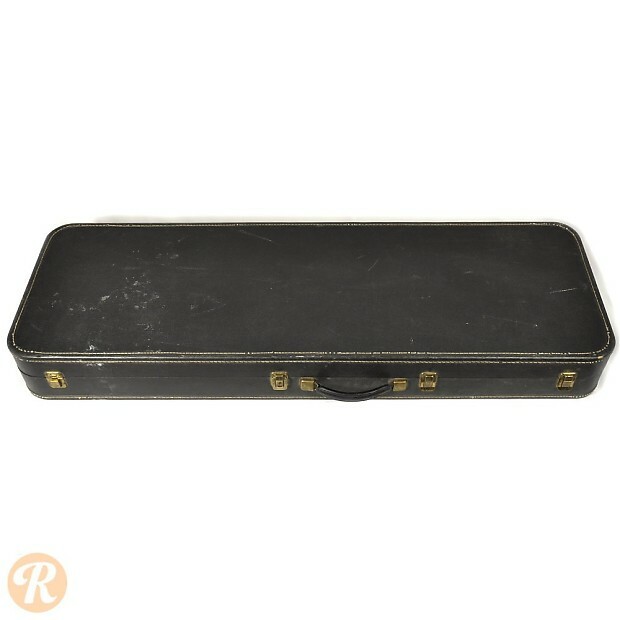 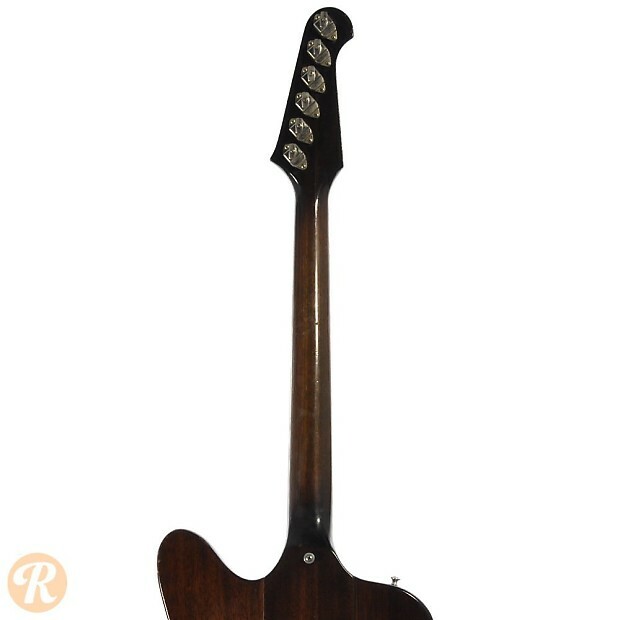 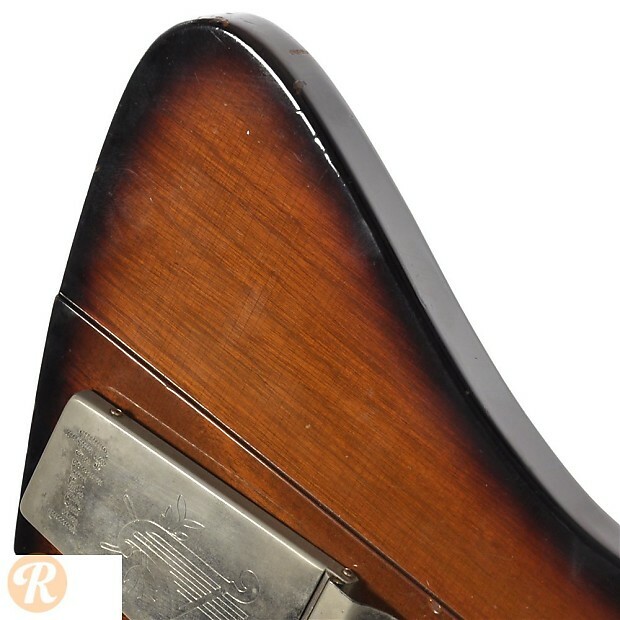 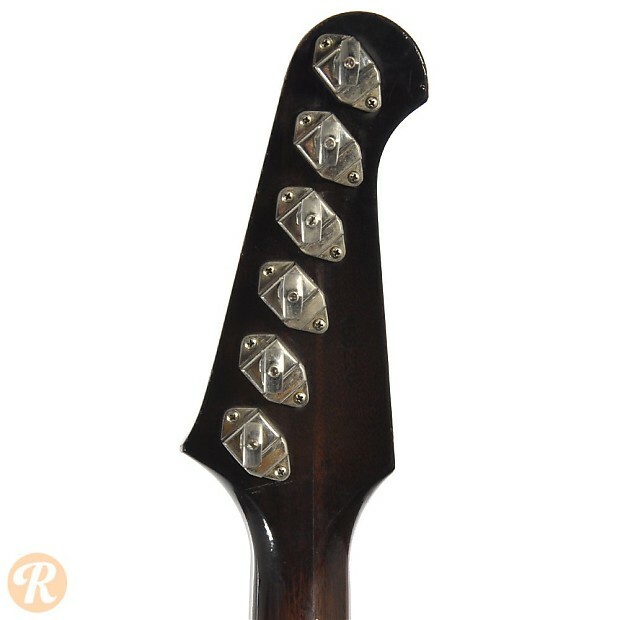 Each was distinguished by different pickup and hardware configurations, though they all shared thru-body construction and a unique "reversed" body shape with a large lower horn. 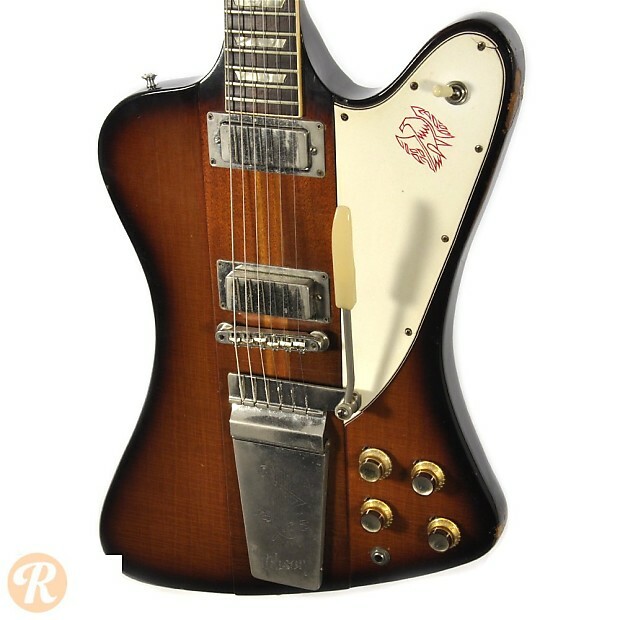 The Firebird V in specific used nickel-plated hardware, a deluxe vibrato tailpece, and two mini-humbucker pickups. 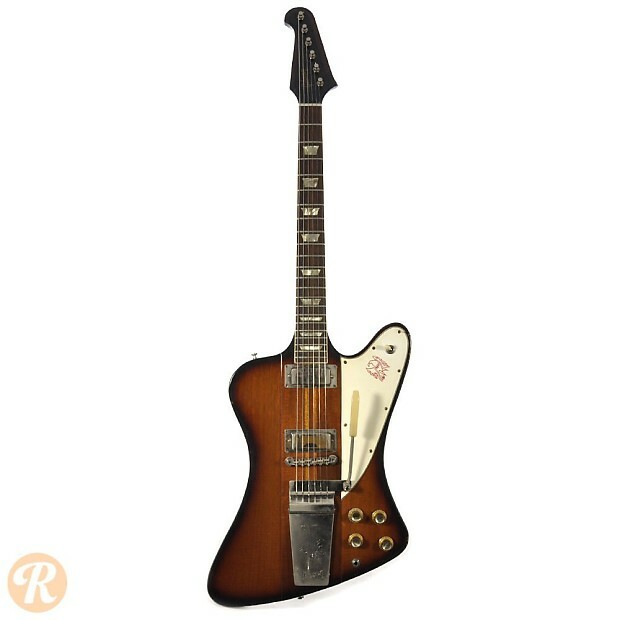 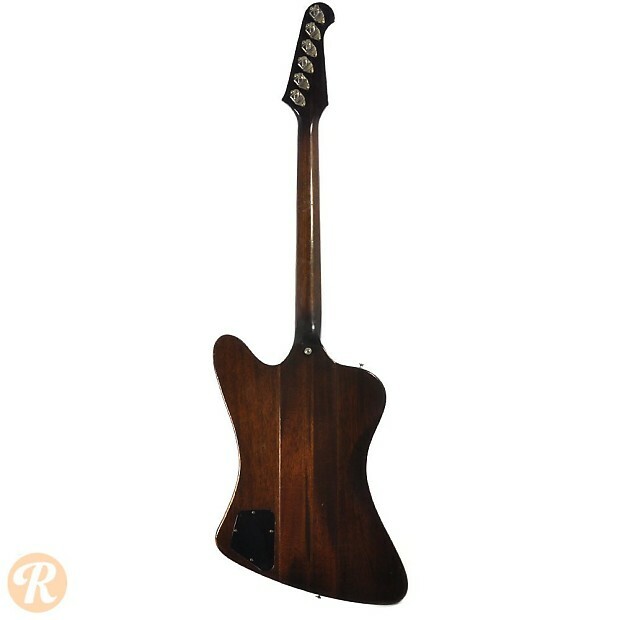 By mid-1965, Gibson changed the Firebird (as well as its counterpart Thunderbird bass) to a more traditional "non-reversed" body shape. 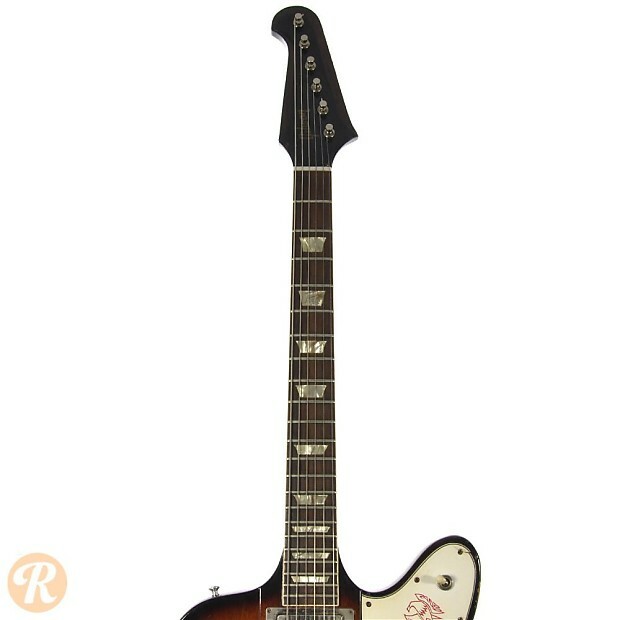 Finish Specifications: Sunburst was the standard finish for the Firebird V.